on my first sunday as the new music time leader in our ward i needed an activity that the kids would have fun with and really enjoy because, well, you know, i wanted them to think i was cool, haha. and so along with bubblegum ben, (which was a huge hit, by the way!) 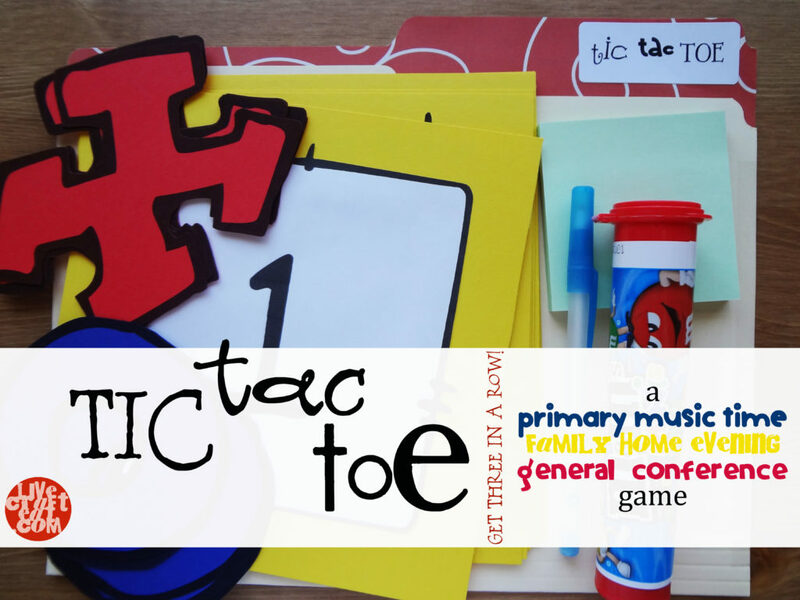 i saw this tic tac toe idea from this site and am so glad i did because it jogged my memory of when i did this in music time several years ago. it’s a game that never goes out of style! 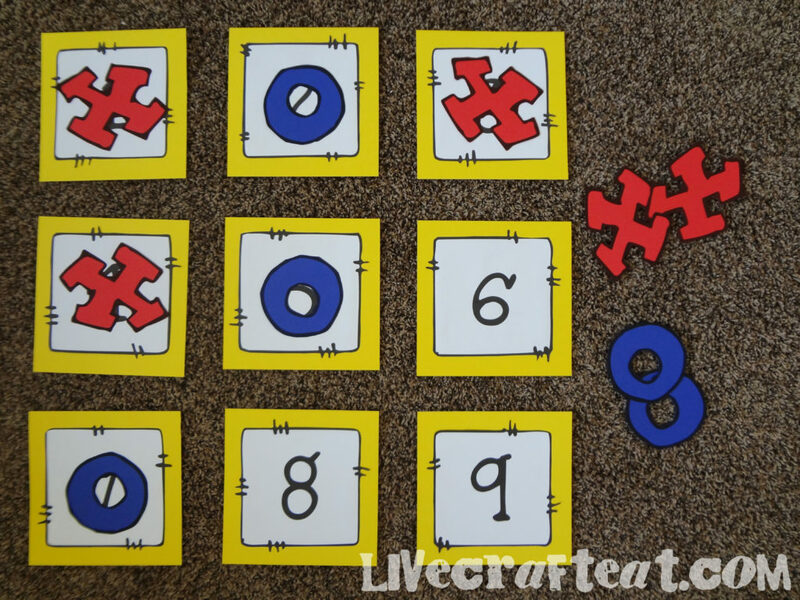 so, i went ahead and pulled out my x’s, o’s, and numbers (printable at the bottom of this post). 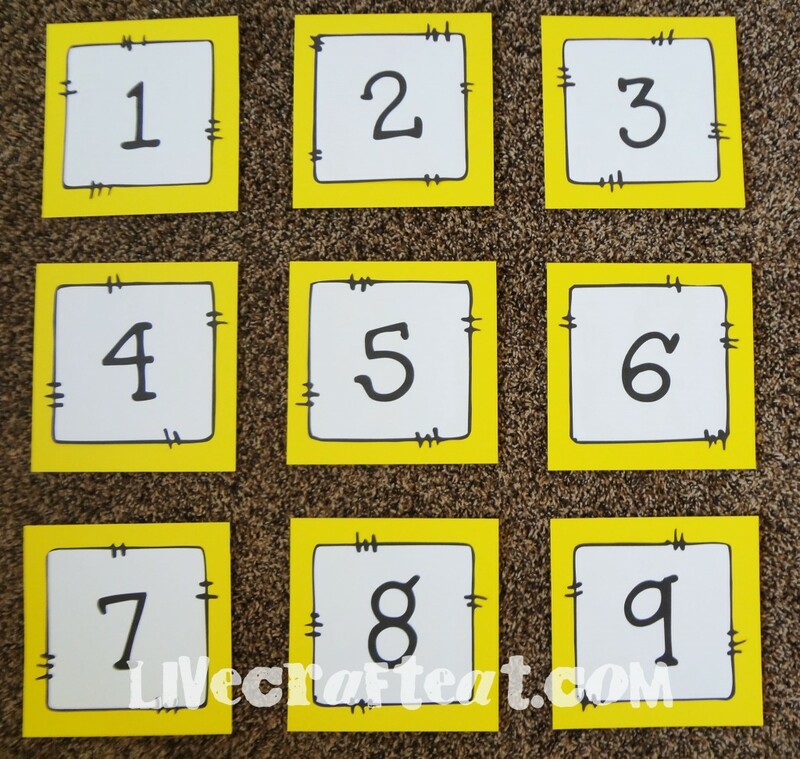 1. use magnets to arrange the numbered squares on the blackboard. 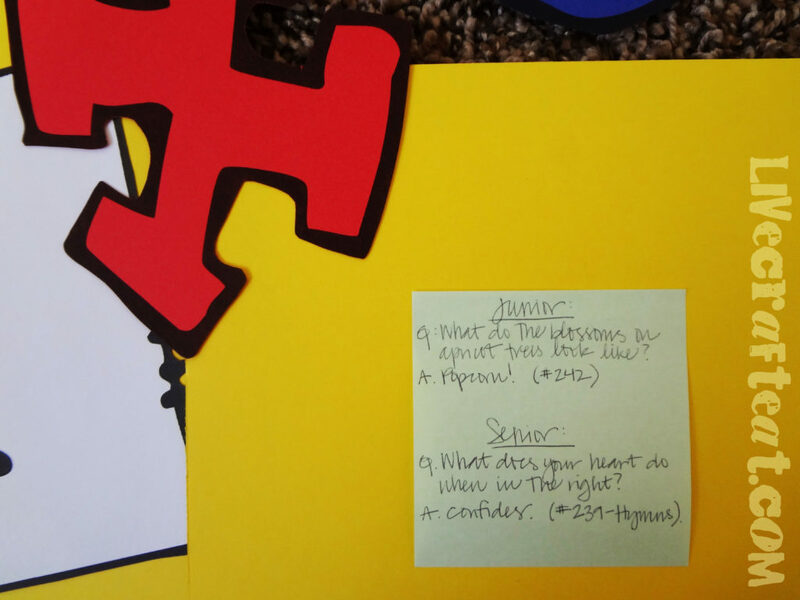 2. separate the room into two different teams – the x’s and the o’s. one person from the x’s team gets to come up and choose a number on the board. 3. ask them the question that you’ve written on the back of the number (one pertaining to the song you’re going to sing). if the person who came up to the front cannot answer the question, they can ask their teammates and teachers for help. if they can’t get it, then the question gets passed to the other team. this is also a fun game to play for family home evening or after general conference – do a lesson or watch a talk and just ask different questions to see if your kids know the answers! to make the game, i printed out these numbers (see printable at bottom of post), cut them out, and mounted them on yellow cardstock. laminating would be a good idea so they can be used over and over again. 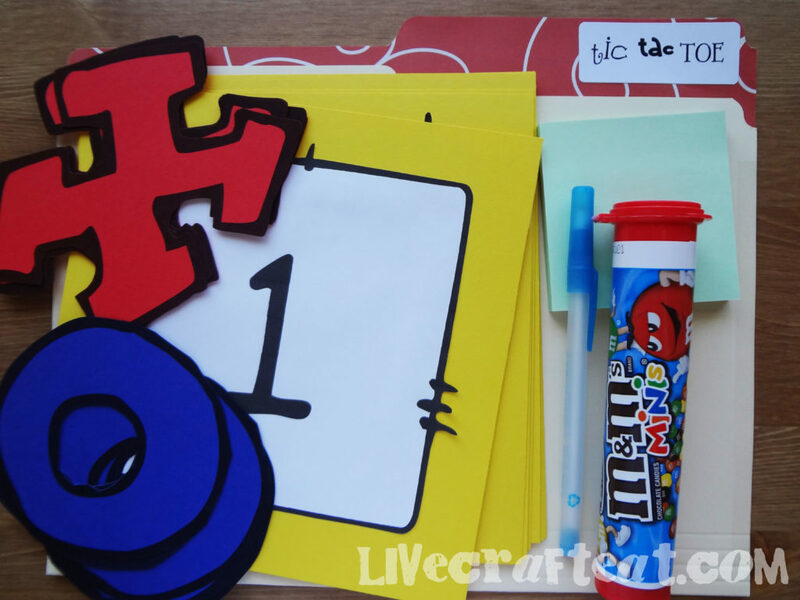 then i printed the x’s and o’s (x’s onto 5 sheets of red cardstock and o’s onto 5 sheets of blue cardstock). again, cut them out and laminate them. i just want to note that the fonts used here are are from dj inkers: dj cheer and dj blocks. When do you sing the songs? After each question? Should all the questions pertain to the same song we are singing? Hi Savanna! On the back of each tic tac toe number I write a question pertaining to a particular song. For example: “What are the Primary Colors?” and then when they guess the answer (Red, Yellow, & Blue), we sing the “Primary Colors” song. Then we move on to the next question/song…. Hope that helps!